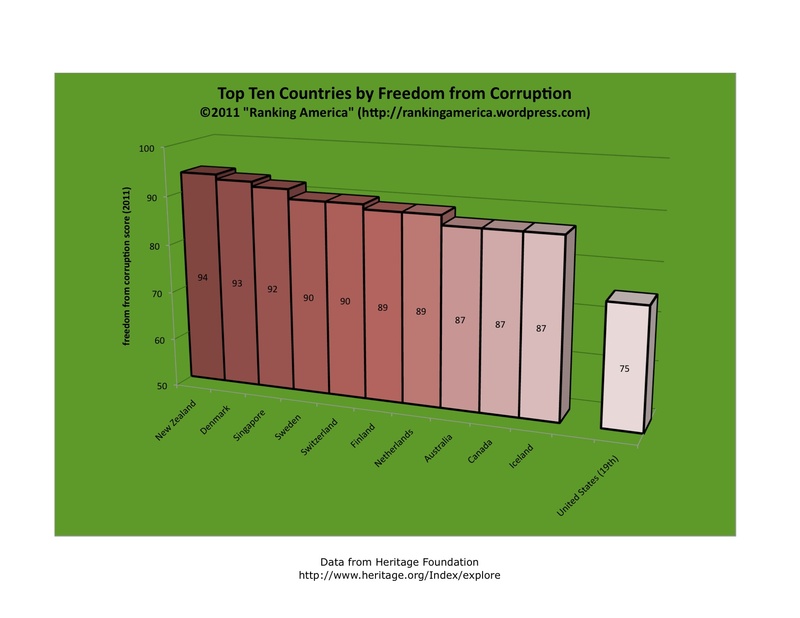 According to the Heritage Foundation’s 2013 Index of Economic Freedom, the United States has a “freedom from corruption” score of 71, which makes the United States rank twenty-fourth out of one hundred seventy-seven countries ranked in that category. 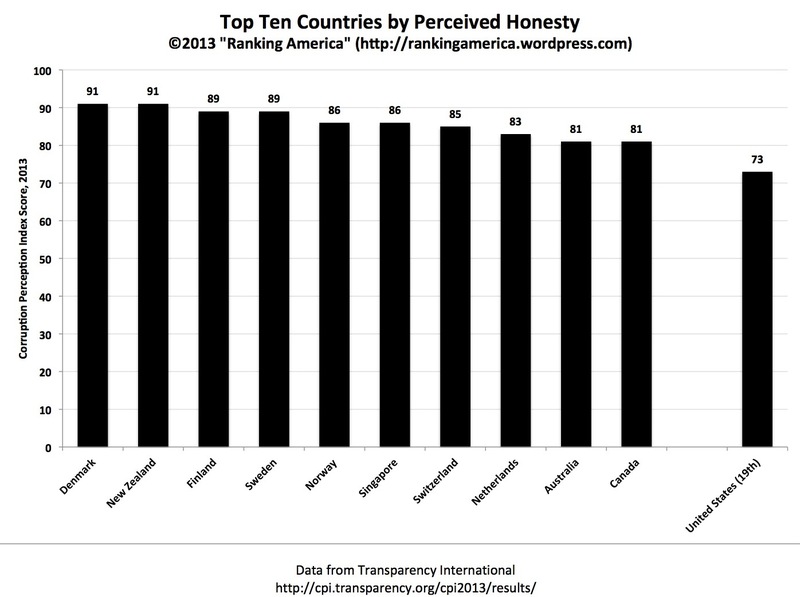 New Zealand ranks first, with a score of 95. 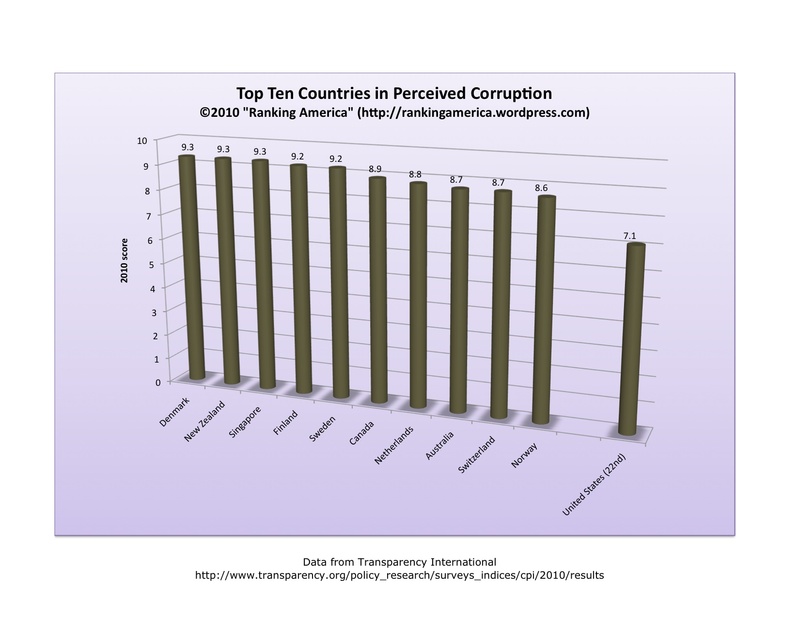 According to Transparency International, in 2011 the United States has a perceived corruption score of 7.1 (with a score of 10.0 being perceived as very clean), which makes the United States rank twenty-fourth out of one hundred eighty three countries ranked in that category. 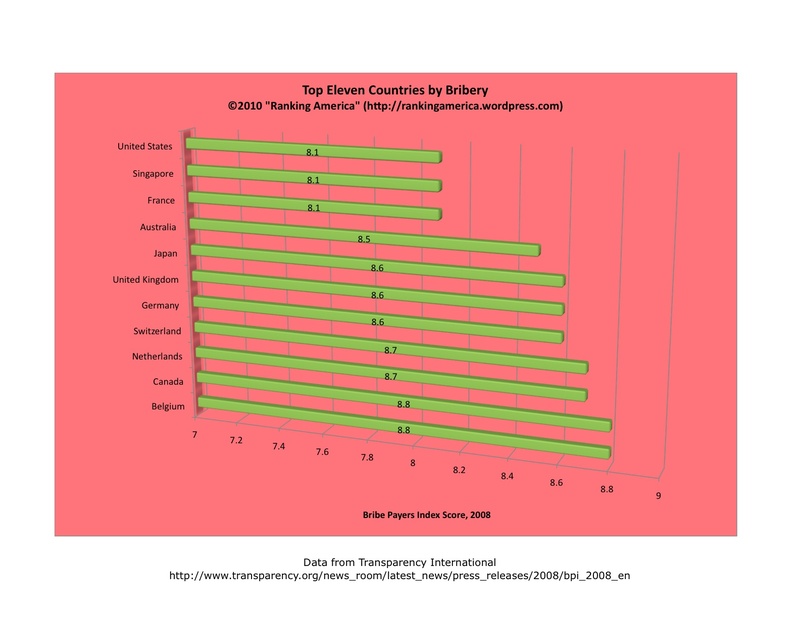 New Zealand ranks first, with a score of 9.5. 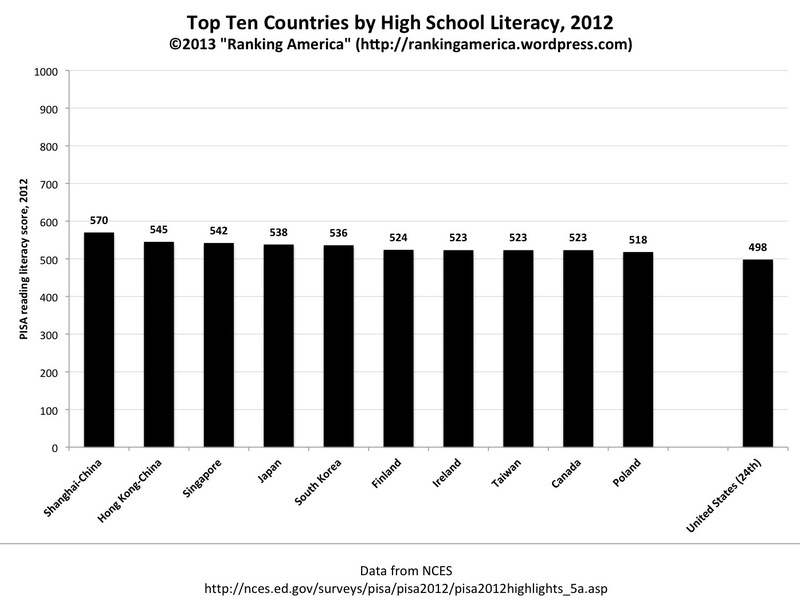 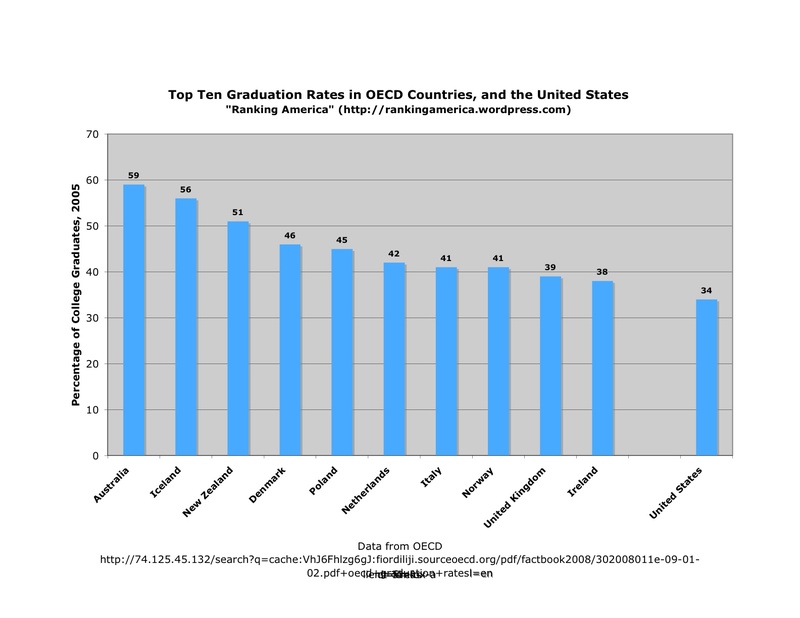 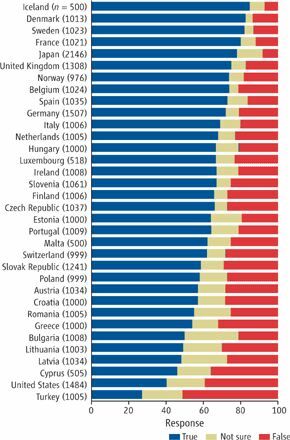 As reported here, in 2010, the United States ranked twenty-second. 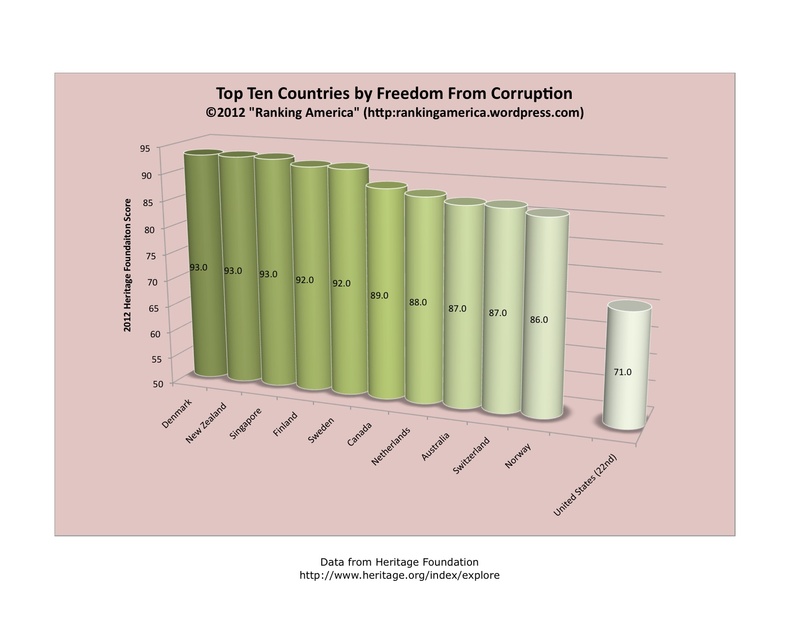 According to the Heritage Foundation’s 2011 Index of Economic Freedom, the United States has a freedom from corruption score of 75, which makes the United States rank nineteenth out of one hundred seventy-nine ranked countries. 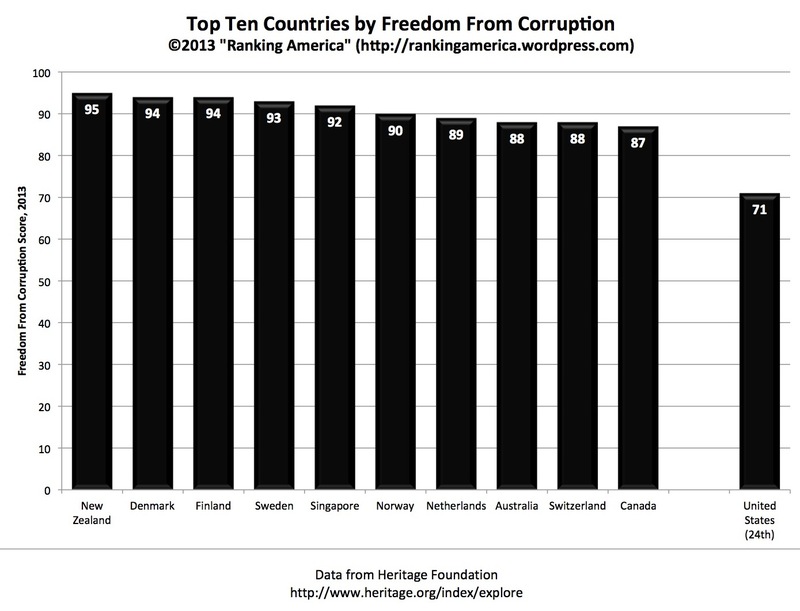 New Zealand ranks first, with a score of 94. 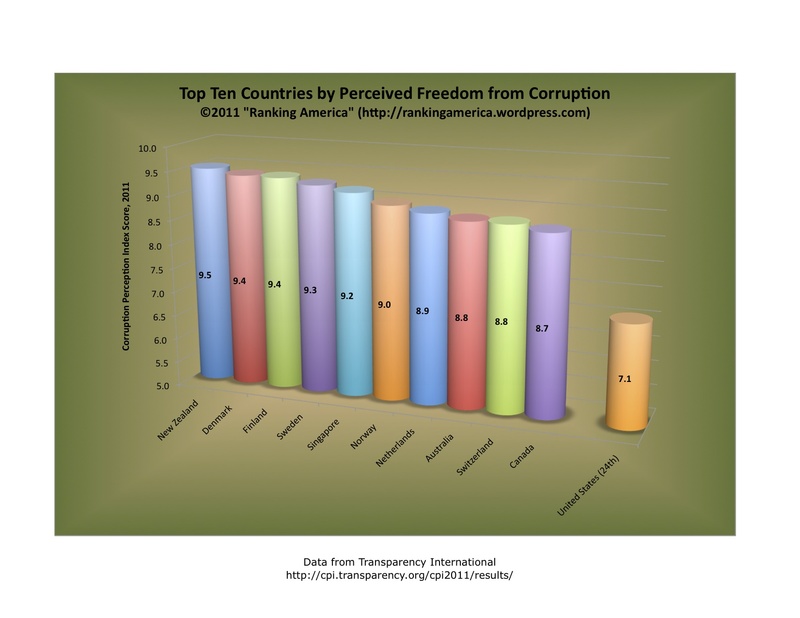 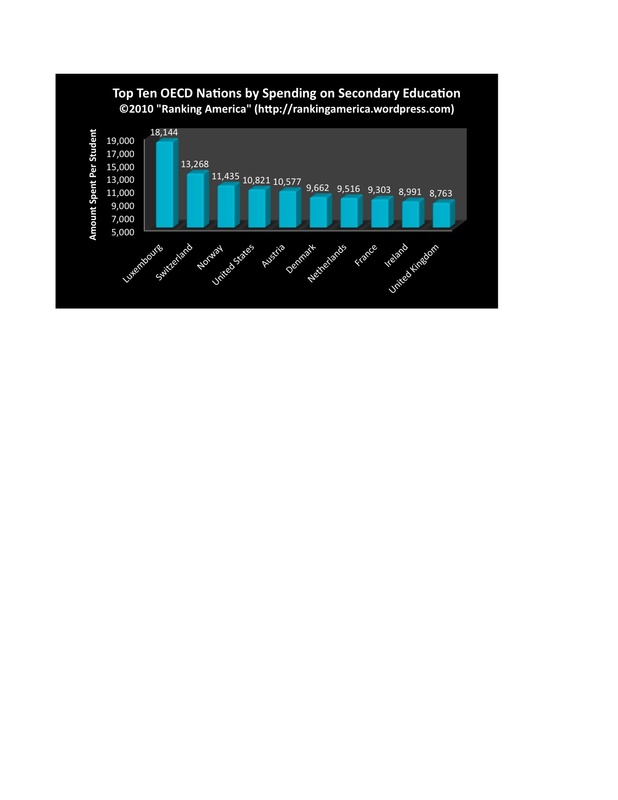 According to Transparency International, the United States has a Corruption Perception Index Score of 7.1 out of 10, which makes the United States rank twenty-second out of one-hundred seventy-eight ranked countries. 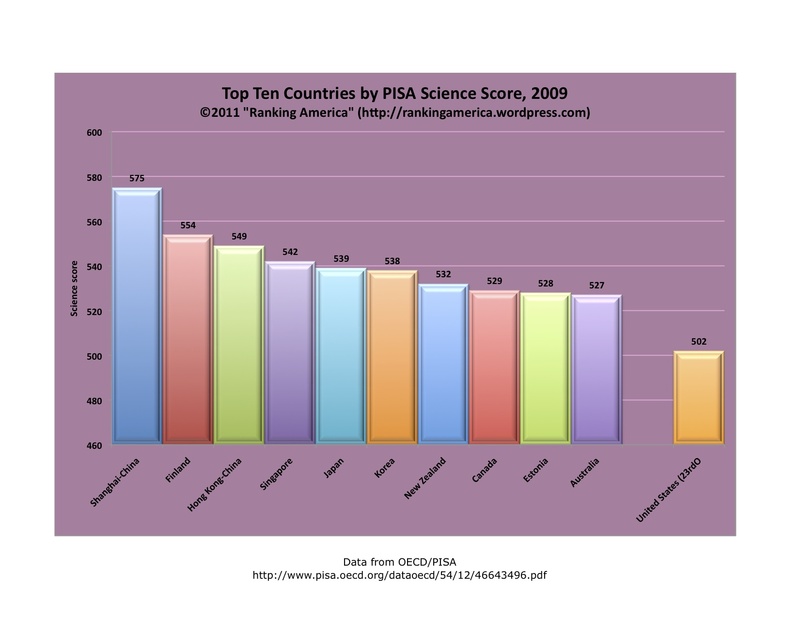 Denmark, New Zealand and Singapore tied for first, with a score of 9.3.